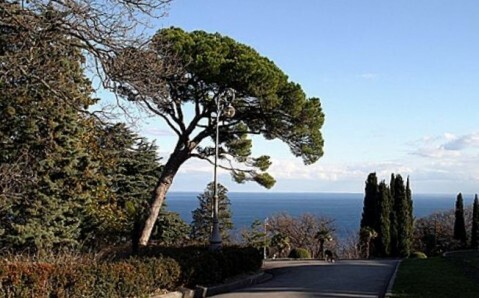 Yalta’s picturesque surroundings conceal many wonders of nature: their concentration per square meter rolls over limit, exceeding all thinkable and unthinkable norms. 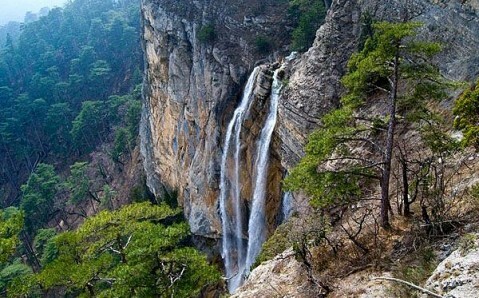 One of them is majestic waterfall Uchan-Su, located on the southern slope of the beautiful Ai-Petri Mountain. 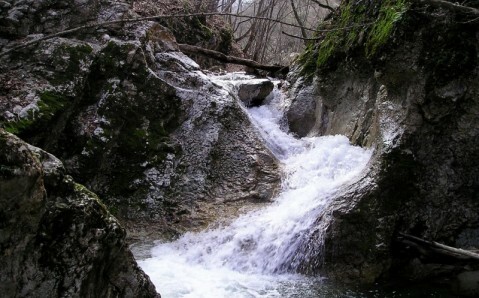 Its name means flying water in Crimean Tatar. 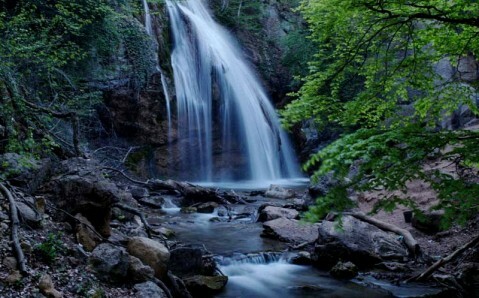 It is the highest waterfall not only in Crimea, but in the whole Ukraine as well: the water stream falls from the 100-meter-high cliff; it is twice the height of Niagara Falls. The Uchan-Su Waterfall is formed by the namesake river that originates at the edge of one of the Ai-Petri tops and flows down the steep slope, falling down with a crash at the altitude of 390 meters. Its torrent strikes stone ledges and turns into water dust, providing a fantastic spectacle. Uchan-Su falls in two cascades: the upper cascade can be reached by a specially equipped staircase that leads from the observation area in front of the waterfall. It is there that the power and majesty of Uchan-Su can be felt in full, watching how water torrents fall from the steep’s edge, fly down and break into hundreds of silver trickles, flowing down the rocks. There is a small water intake structure on the border of two cascades. 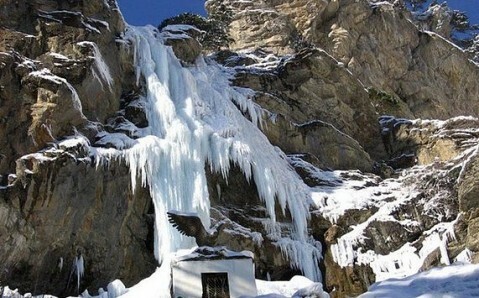 It is crowned with a sculpture of an eagle, which is the symbol of the highest Crimean waterfall. The Uchan-Su Waterfall looks differently in different seasons. In summer, it usually dries up and, instead of a turbulent flow, one can see just a few lazy water streams, trickling down. And in severe winter, it freezes, turning into an impressive canvas, as if woven of crystal fibers. 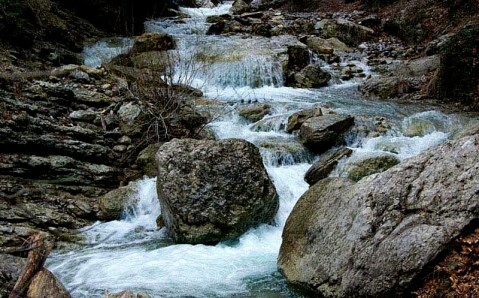 The Uchan-Su looks most spectacularly in spring: during active melting of mountain snow and after heavy rains. 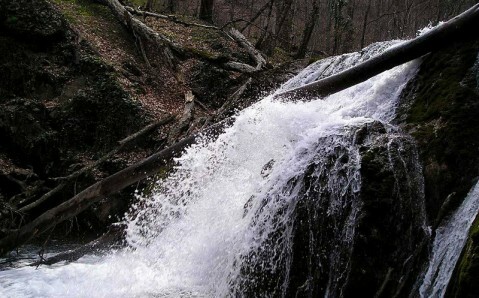 A well-maintained trail, running through stately relict pines, leads to the waterfall, located on the territory of the Yalta Mountain Forest Nature Reserve. Getting here. 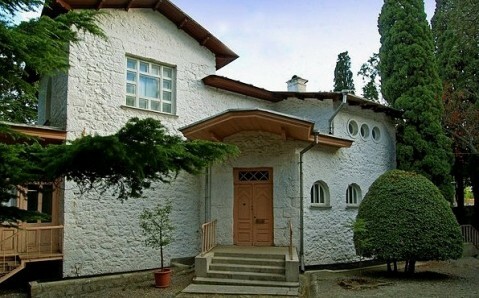 Take a route taxi № 30 or № 50, departing from Yalta bus station. Зимой можно пройти бесплатно!на кассе не кто не стоит и водопад гораздо полноводней! Зимой можно пройти бесплатно!на кассе не кто не стоит и водопад гораздо полнтводней! 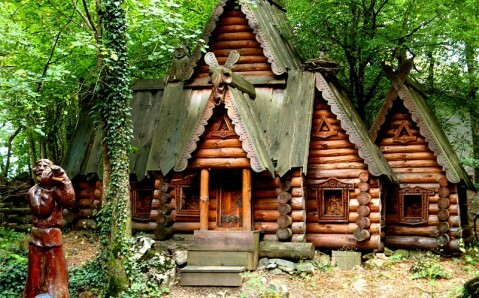 Зимой термос с горячим травяным чаем тут как нельзя кстати! Вот только летом здесь делать нечего. Там нечего делать, неначто смотреть! Течет с февраля по март. Парковки-20 грн. Вход-20 грн. Кошмар!!! Не вражає. Нічого цікавого!!! Даремне витрачання часу та грошей! Сегодня на тропе к водопаду очень много мусора..
Сегодня с нас впервые не взяли деньги....к чему бы это? Осторожнее с решеткой внизу водопада: голова пролазит в аккурат, обратно идет гораздо хуже. Водопад Учан-Су – самый высокий не только в Горном Крыму, но и в Украине, и даже в Европейской части СНГ. Лысый открыватель туалета постоянно где-то шарится.